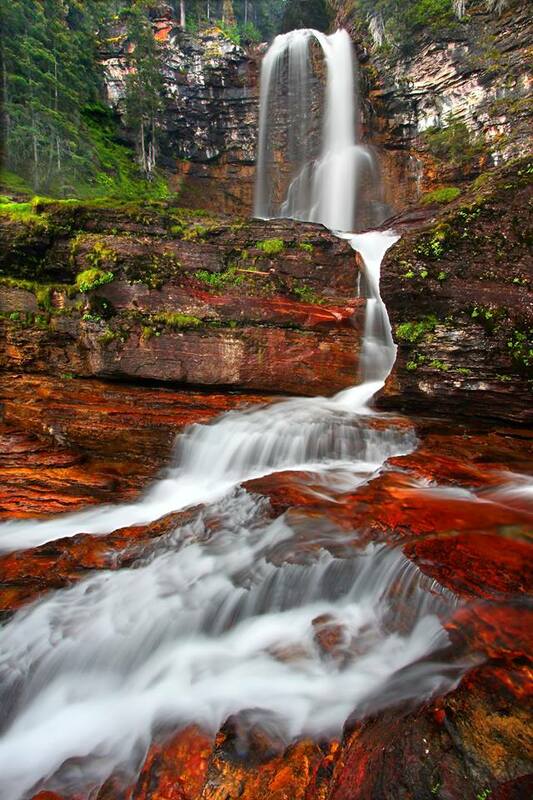 Spring is the perfect time to visit Glacier National Park. With all of the melt and rainfall, there are more waterfalls thundering and trickling throughout the park then a person could ever hope to see. While some of these waterfalls will dry up after the initial thaw, many of them will stay strong throughout the spring and summer months. 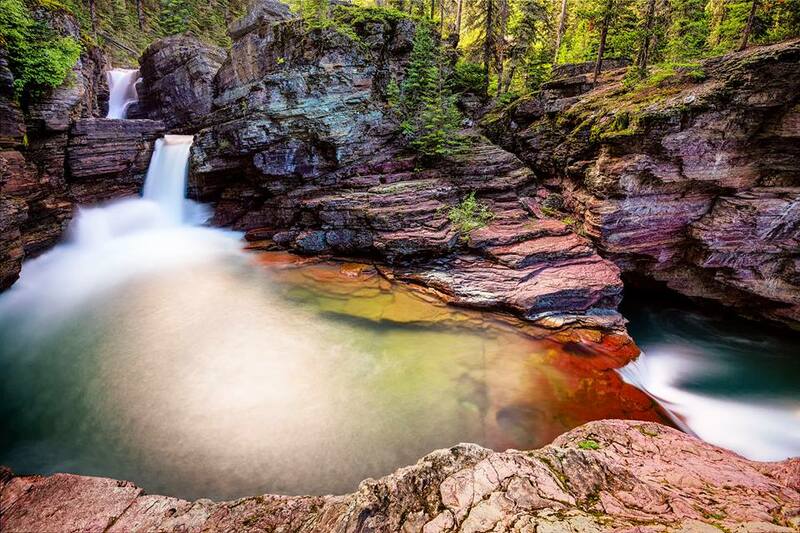 Here are 5 Glacier National Park waterfalls you don’t want to miss next time you visit this gorgeous destination. The hike to St. Mary falls is less than 2-miles out and back. This is one of the more popular spots in the park so depending on when you visit, you might be sharing the experience with a crowd. Nonetheless, this is a must-see easy hike if you’re visiting the park, and it’s a great trail for kids. After stopping at St.Mary Falls, continue on the trail for another half mile to the beautiful Virginia Falls. This 50-foot waterfall plunges unhindered into the Virginia Creek below creating a wonderful cool spray for hot days. The wildflowers on this hike are amazing during the spring months! 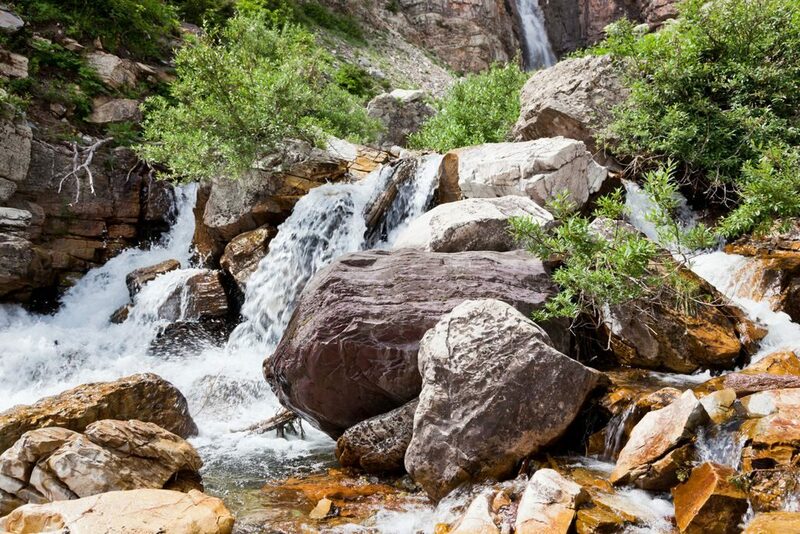 The Redrock Falls trail is an easy 3.5 mile out and back hike that features multi-tiered waterfalls, beautiful emerald waters, and lots of wildlife. If you continue past the falls you will come to Bullhead Lake which is a nice spot to sit and relax. There are quite a few bear and moose sightings in this area, so be aware of your surroundings! Also known as “Trick Falls,” this short .6-mile trail is a great short hike for the whole family. In spring, the rushing water makes it look like there is only one waterfall here, but by late summer when the water decreases, you can actually see that there are two separate waterfalls created by a sinkhole. The water from the lower falls appears to burst out of a cave, and at times, only the lower falls are visible. The rock formations here are also unique and the view of Rising Wolf Mountain is fantastic. 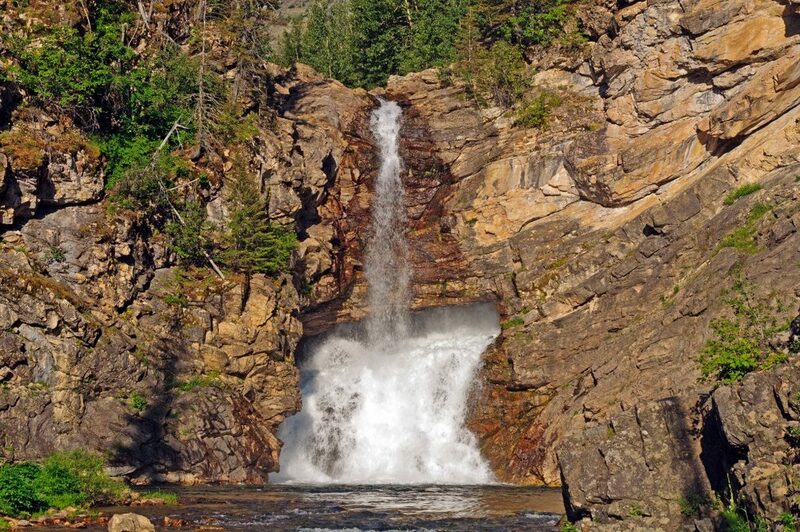 The Apikuni Falls Trail is an easy 1.8-mile out and back hike. There is some elevation gain but this is a nice trail for families or those looking for a quick jaunt to a beautiful waterfall. Bears and bighorn sheep are common in this area. Ready to plan your waterfall adventure? 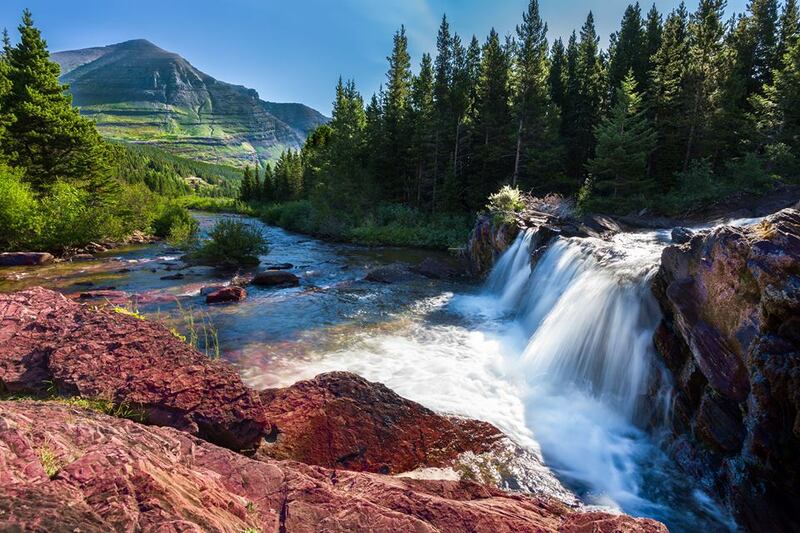 Explore campgrounds near Glacier National Park.